Rollin is a brooding, deep effort that will stick around with listeners long after the effort ceases to play. The band takes the standards of performers like 311, Sublime, and Linkin Park to make something wholly unique. Rollin has intense vocals, strong instrumentation, and a sound that refreshes the hard rock style of the late 1990s and early 2000s in an alluring way. The vocals stand out but only because the instrumentation is able to ebb and flow, providing emphatic highlighting at all of the right places. 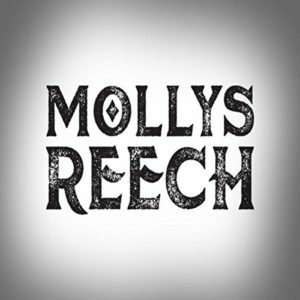 We’re excited to hear more from Mollys Reech in the months and the years to come, but Rollin is a tremendous introduction to the band.